Baldwin Limousines offers premier ground transportation throughout the Pocono Mountains, including Monroe County and neighboring counties, with dependable and professional service. We provide cost-efficient transportation services for corporate clients, groups and stretch luxury limousine trips for special occasions. We provide customers with excellent all around service to any destination of their choice at an affordable rate. If you need limousine service in the Poconos, Baldwin Limousines is a great choice. Not only do we guarantee a great ride, you will find that our vehicles are of the highest quality, both interior and exterior, serving for an even more pleasurable time with Baldwin Limousines. We provide limousine services to and from airports and cruise ports, for winery and brewery tours, wedding shuttles, bachelor (ette) parties, location-to-location, corporate transportation, concerts, or even just for a fun night out at the casino! Surprise the kids with a rental for their prom or sweet sixteen. We offer limousine transportation for any sized budget. We recently transported a wedding party to Mountain Springs Lake Resort to celebrate! We offer limousine services in some of the finest vehicles available, ranging from Lincoln Town Car luxury sedans to stretch limousines. Our vehicles can hold anywhere from two to fourteen passengers comfortably. Each vehicle is inspected daily both inside and out to maintain excellent quality for any customer. ALL OF OUR VEHICLES ARE PROTECTED FROM VIRUSES, GERMS AND BACTERIA BY THE SUPER VIRUS SHIELD SYSTEM. Vehicles are replaced on a regular basis to ensure that we have the highest quality automobiles ready at all times, and to make sure that they are safe for every day use. All of our employees take pride in their job, making sure that customers have the trip that they deserve. Each employee is put through our training program to make sure that they will provide the best possible limousine service that they can, and we keep them to that high standard. Since we offer such a wide range of services, we provide customers with custom quotes depending on their budget and needs. Contact us to get your custom quote today! 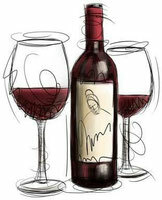 We recommend www.poconowinetrail.com when planning your winery tour!